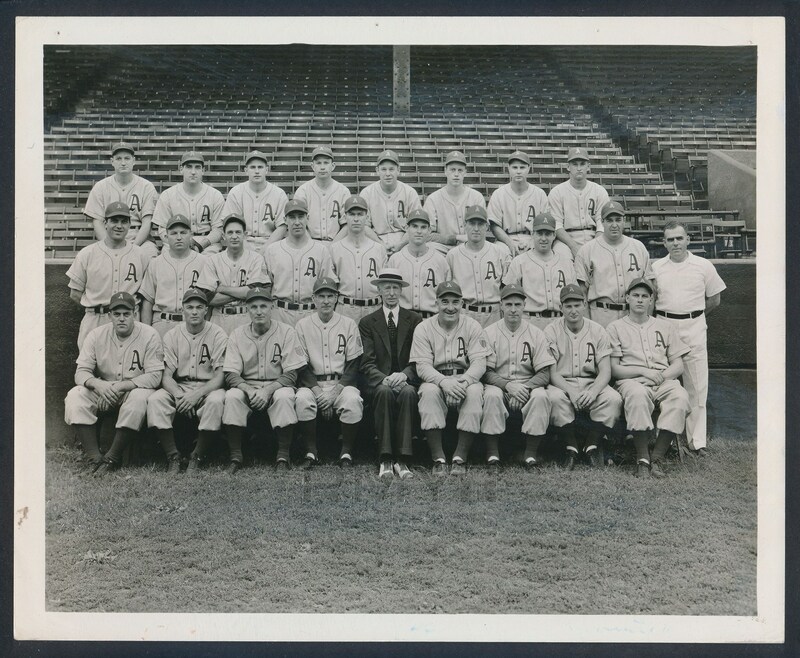 Lot # 63: 1945 Philadelphia Athletics Team Photo, "Young George Kell Leads the Rebuild"
1945 Silver gelatin photograph of the terrible Philadelphia Athletics who were in the middle of a rebuild forced by WWII. They did have one shining light though, a young Hall of Famer named George Kell. 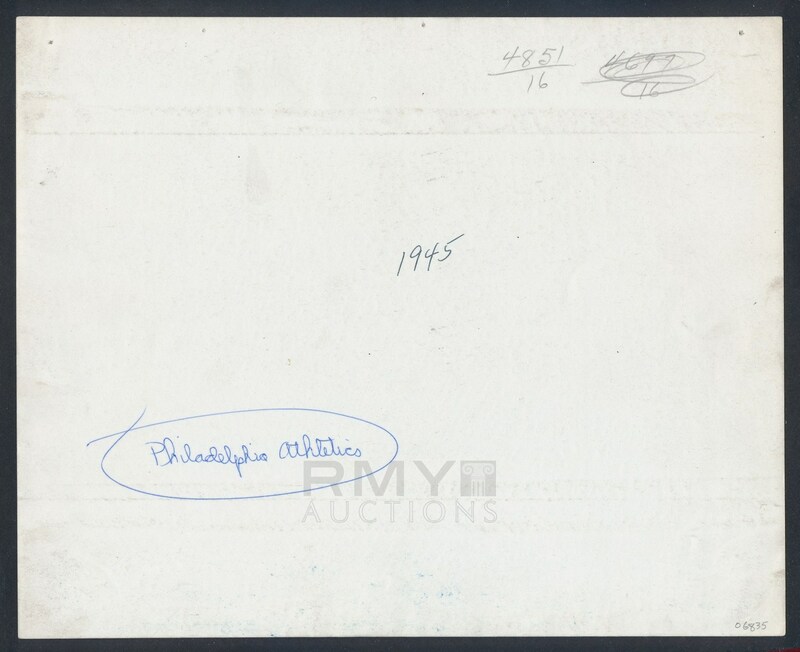 A bold and clear original this is a rare team to find images of and it presents well with a couple pinholes being the only real flaw.